The end of a school year or semester is always a challenge for English Language Arts teachers. Between the marking, end of the year activities, and packing up your class for the following year, creating individual and meaningful comments on students’ report cards can be challenging. I say, take back your weekends! 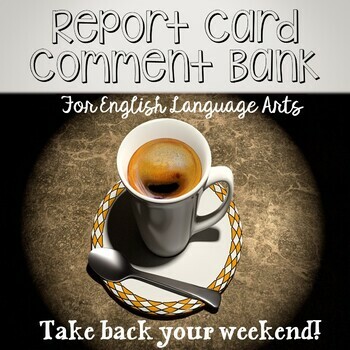 I am sharing my mid and end of year report card ELA comments with you. There are over 70 comments for you to use and personalize your ELA report cards. There are also a slew of next step comments as well. Each section is divided by levels 1,2, 3, and 4 where you can select the appropriate comment to accompany the mark the student received.